Distribution Sources: 2, 3, 7. 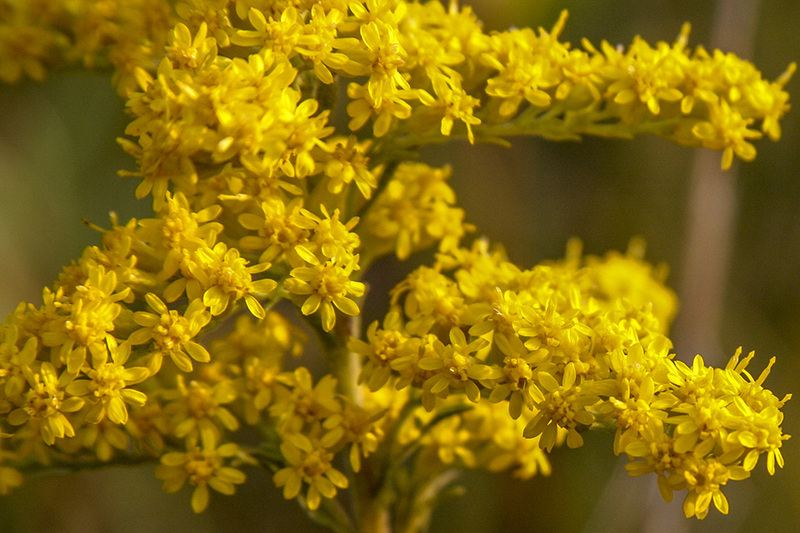 Some sources, including NCBI34 and UniProt33, classify this Solidago canadensis var. scabra. 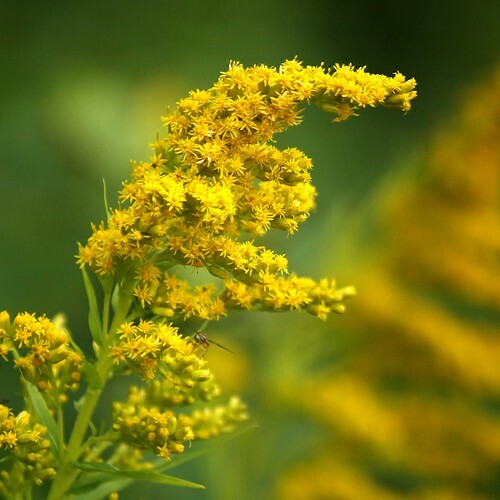 Other sources, including GRIN38, ITIS37, The Plant List36, and most older sources, classify it as Solidago altissima. According to FNA45, two factors argue for distinguishing this plant at the species level. 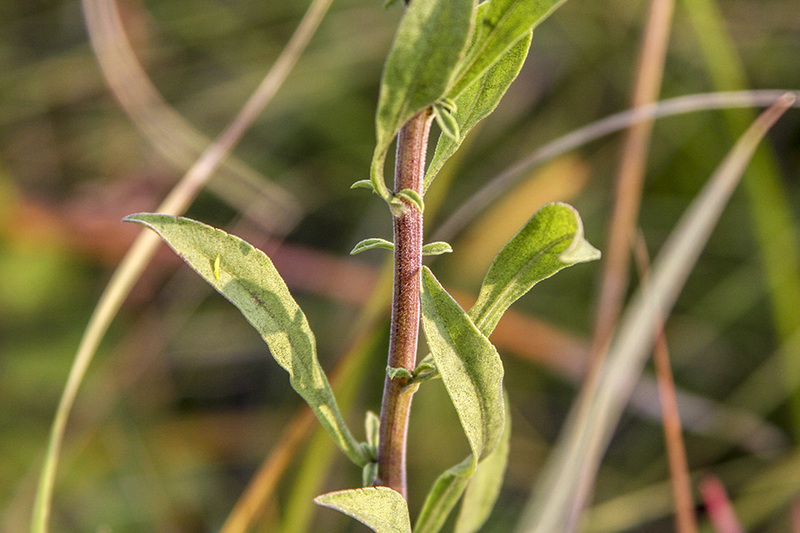 First, young plants can appear grayish-green due to short hairs on the leaves, a character not seen in Solidago canadensis. Second, the goldenrod gall fly (Eurosta solidaginis) produces large galls on both supspecies of this plant but not on Solidago canadensis. 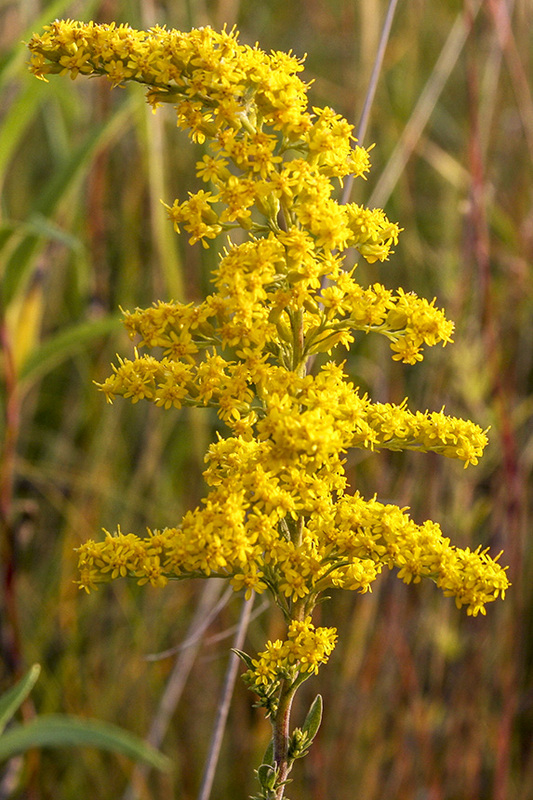 This is one of the tallest Solidago species of North America. Contrary to internet sources it gets taller than 8' tall. The tallest cane here measured over 10' tall. Unfortunately they are prone to falling over and are aggressive at spreading through root suckers. They flower from October into November here, perhaps sooner or later depending on climate. 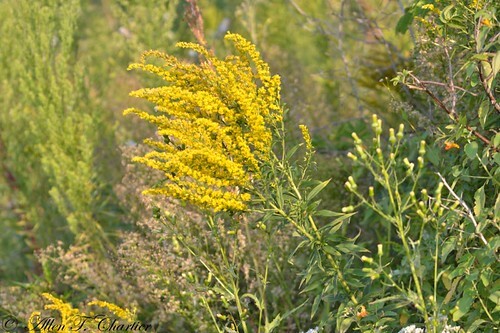 Bees of all sorts use this plant as one last food source before winter sets in. This includes what are likely next years bumblebee queens, not to be confused with Resin Bees, and Large Carpenter Bees.